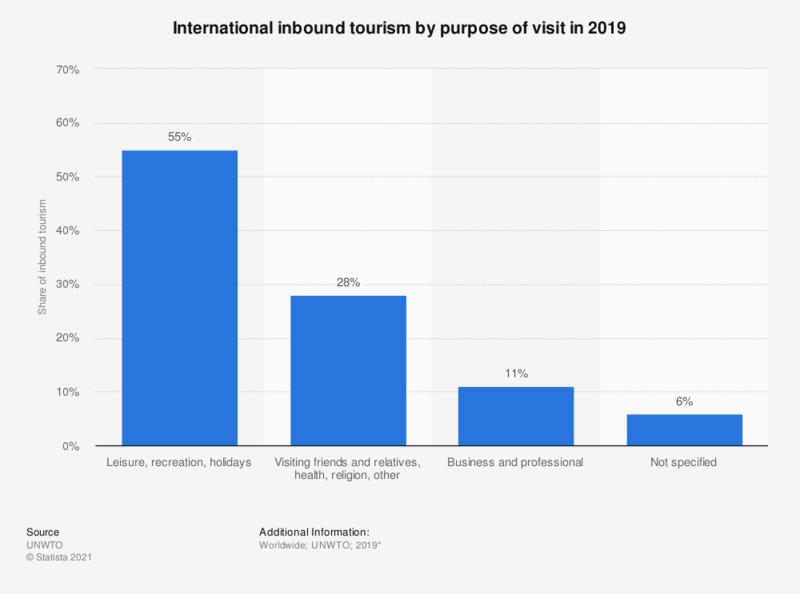 This statistic shows international inbound tourism by purpose of visit in 2017. Leisure or recreational travel comprised the largest share of inbound tourism in 2017 with 55 percent. Six percent of inbound tourism did not have a specified purpose. What was your reason for travelling to Denmark? Why do you like travelling to big cities in Denmark?